You might be wondering if a PMP Online training 35 contact hours course makes you eligible for the certification exam. 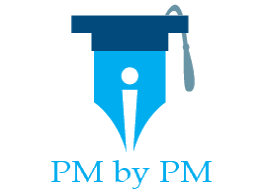 I have written this post to describe what is a PMP online training, what are 35 contact hours, and how an online course satisfies PMI’s project management education requirement. In this post, I have also discussed the benefits of an online program over other forms of training courses and reasoned why an online PMP training is the best way to get 35 contact hours. As per PMI, you need 35 contact hours of formal project management education to apply for the PMP credential exam. So what are 35 contact hours? The following quote has been taken from PMI’s PMP handbook. PMI is clearly talking about “classroom instruction”. So, how does an online course satisfies 35 hours requirement? Let us look at another quote from the handbook. You can satisfy the education requirements by demonstrating the successful completion of courses, workshops and training sessions offered by Distance-learning companies, including an end-of-course assessment. The above statement clearly says “Distance-learning companies”. It is apparent that a PMP online training with an end of course assessment can be used to fulfill PMI’s 35 hours education requirement. Can you take any online PMP course with end of course assessment offered by a Distance-learning company? Would it satisfy PMI’s requirement? You should only go for a pre-approved PMI REP (Registered Education Provider) course. This way there will be no confusion if a course is can give you requisite contact hours or not. Note: Self-directed learning (e.g. reading books, watching instructional videos or educational sessions with coaches or mentors) does not satisfy the educational requirement. Why An Online PMP Training Program Is The Best Way To Get 35 Contact Hours? is least expensive and pocket friendly. is available at a time and place of your choice. It gives you a lot of flexibility. does not give you information overload in a short span of time. You can study in short spurts and digest the new knowledge before jumping to a new topic. saves you commute time. You don’t need to travel anywhere to attend the training. gives you a choice to learn at your own pace. Whereas in other forms of training, you have to learn at the pace of the instructor. gives you flexibility to follow your own style of learning. You can watch all the videos, read ebooks and then do exercises. Or, you can do exercises immediately after learning a new topic. allows you to use your idle time for the exam prep. You can listen to the audios and watch videos while you are doing mundane jobs like jogging, commuting, waiting at Doctor’s, transiting through airport etc. You can potentially save 25% of your preparation time. Which Online PMP Program Is Right For You? Try to Google “PMP Online Training 35 contact hours”. What do you see? You will be astounded (rather confounded) by the number of search results. You will find hundreds of companies vying for your attention to buy their course(s). So, which program is right for you? Which of these courses will give you 35 contact hours? Rather than solving your queries, Google search results leave you confused and stumped. It becomes difficult to choose the right course. from a PMI’s REP. It is not mandatory to attend an REP program but their programs are pre-approved by PMI for awarding 35 contact hours. that has a good mix of videos and other instructional material like ebooks and practice questions. that covers all the learning objectives of project management (scope, schedule, cost, quality, resource, communications, risk, procurement, stakeholders, and integration management). that has an end-of-course assessment to meet PMI’s definition of 35 contact hours. that issues a 35 contact hours certificate at the end of the course. whose content quality is excellent. Poor content quality can hurt your chances of passing the exam. that is taught by a native English language trainer as the exam is administered in English language only. To help you choose the right course, I have used the above parameters to do a comparative review of top self-learning courses. Self learning online courses are cheapest form of training. They are friendly on your pocket and give your lot of flexibility. But you will need self-control and discipline to finish these courses. Before deciding on a self learning course, you should prepare a study schedule and follow it religiously. Which form of training were you contemplating before reading this article? Do you agree that PMP online training is the best way to get 35 contact hours? When Do Contact Hours Expire? I am PMP Certified,have the aspiration to train PMP aspirants ,How could I get connect to REPs/Training Institutes?